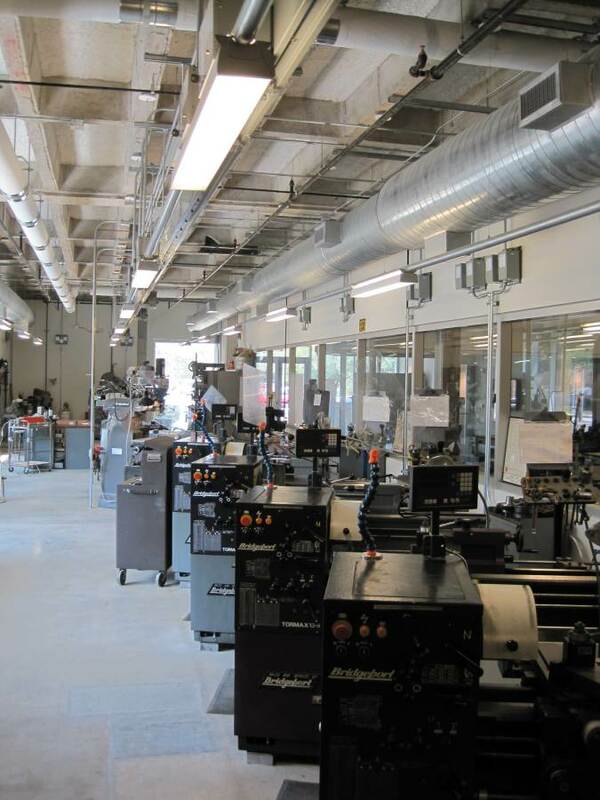 The machine shop is an area for the machining of precision parts for prototyping purposes. 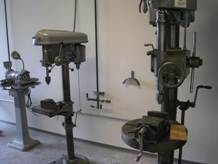 The machine shop has a plethora of equipment and can machine virtually any part, from metal to plastic to wood. 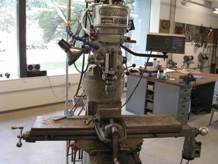 However, the machine shop can also be a dangerous place, and it has many rules. These rules are designed to keep you from seriously injuring yourself or others. 1. Always ask Joe Gesenhues before you do anything in the machine shop, as you could seriously injure yourself or damage expensive equipment. He is also much more experienced at machining than you and will probably know a better way to do it. 2. You must wear ANSI certified safety glasses while in the machine shop. Your eyeglasses are not sufficient. 3. You must wear closed toed shoes in the machine shop. No sandals. 4. If you have long hair, you must tie it up. You cannot wear long sleeves while using a lathe or mill. 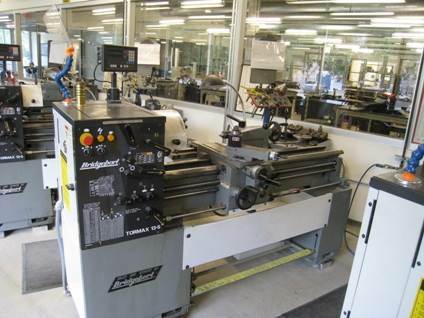 The machine shop has lathes capable of achieving +/- 0.001 inches of tolerance. They are ideal for putting threads on round parts, or machining large holes into round objects. 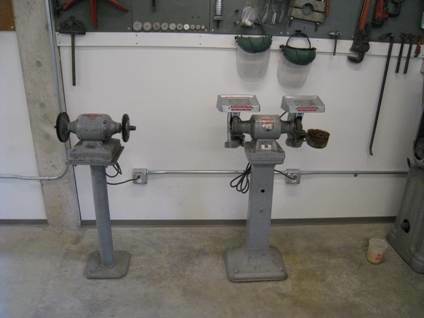 The machine shop has two mills to be used to drill or machine metal, wood, or plastics. They can reach a tolerance as low as +/- 0.005 inches. 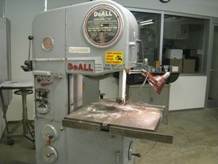 If you need to drill just a few perpendicular holes, and not mill anything precisely, the drill press is your best option. It's fast and easy to use. The grinders can be used to taper or shape most materials, or to smooth any rough surfaces resulting from initial machining.